Let’s talk tiny houses. This trend is sweeping the nation, and while we’re all for saving money and going minimalist, tiny houses have a dirty little secret. Cute, compact and money-saving, these tiny trendsetters have more than a few issues that you should know before cleaning out your savings accounts. Okay, so you just bought a tiny house. Awesome, right?! Not so fast, you can’t just plop it down anywhere. In order for your new tiny house to sit on piece of land (even if you own it), it must meet certain codes. Most tiny houses DO NOT meet those codes. Small manufactured homes do! Coming in at less than 500 square feet, tiny manufactured homes are the perfect solution for your small living desires. These minuscule homes are built to code, so you can buy land or rent it and place it there without a problem. Here’s the thing, you’ll definitely save money in a tiny house in the long run. But to get a home with all the bells and whistles, you’re going to need up to $70,000, which is a sizable chunk of change for 150 square feet. Now if you’re a single person on the fly, this might work for you, but families and couples may need to reconsider. 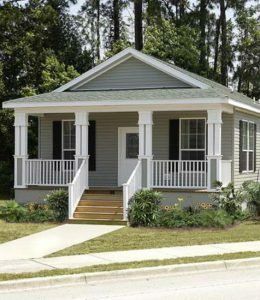 Small manufactured homes start at just $25,000 and you get double the space of the average tiny house! You’ll still have all the modern bells and whistles you love at a comparable price. Plus you’ll have a home you know is safe. We don’t know where you’re reading this (hopefully somewhere super fun), but we are coming at you from beautiful sunny Florida. Only here’s the thing: Florida isn’t always sunny. In fact, we have these pretty scary things called hurricanes. Tiny homes are not tied down in any way, which makes them pretty susceptible to the elements. 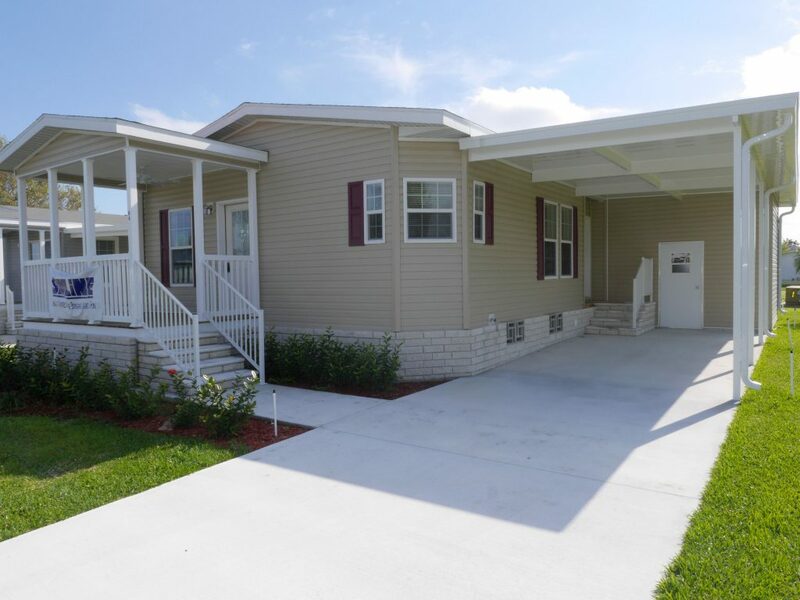 Many people believe manufactured homes are more susceptible to the elements than site-built homes, but the truth is that modern manufactured homes are just as safe as site-built homes. Want a customized tiny home? You could build it yourself with some sweet YouTube tutorials, or you could have a tiny house architect design and build it for you. One is scary, the other is costly. Your best bet for securing a reasonably-priced tiny home is to purchase a used one. In that case, you’re still getting the hefty price tag, and whatever updates you’ll need to do too. Small manufactured home builders, like Fleetwood allow you to customize your home with many modern options. You can choose from stylish options like wood floors and granite counters, and much more! With the average tiny home coming in at just 120 square feet, you don’t have much room for, well, anything. When you see pictures of a tiny house it might feel doable, but the truth is 120 square feet is the size of a small guest bedroom or a den. Now imagine cramming your entire home into that space. For many people, somewhere between 500-1,000 square feet is the perfect compromise when wanting to downsize. Most small manufactured home start at about that size and offer you affordability, safety, coding, and space. A lovely Scotbilt Homes kitchen. Picture your perfect home. What if you could have it? And not just anywhere, in paradise, in the sunshine, in beautiful Florida. A home that’s built to fit your needs, with all the customizations and extras you always hoped for. That’s what Newby Management is offering with Scotbilt Homes, Inc. You can choose from the base home or add your own upgrades until it’s exactly what you’ve always wanted. At Sandhill Shores in Fort Pierce, a brand new Scotbilt Home is coming soon. This active 55+ community is the perfect place to kick back in retirement, and if you’re looking to downsize, this is the home for you. These homes are both beautiful and functional, plus they give you the opportunity to upgrade as you see fit later on down the road. There are many wonderful examples of people who have taken base model homes and made them extraordinary. You can also upgrade ahead of time with some of our affordable packages. The Silver Level Upgrade Package includes all of the base package, plus 11 x 30 carport, 8 x 10 utility shed and basic landscaping all for just $67,977. Gold Level Upgrade Package comes in at $71,977, which includes all of the base package plus upgraded HVAC unit, vinyl skirting with brick front, 11′ x 35′ larger carport, 10′ x 10′ larger utility shed, upgraded landscaping package and irrigation in the front yard. Platinum Level Upgrade Package total is $77,977 and includes base package plus upgraded HVAC unit, brick skirting, large 11′ x 40′ carport, large 10′ x 12′ utility shed, premium landscaping package and irrigation over the entire lawn. Learn more about the packages we have available by calling us at 941-479-2849.